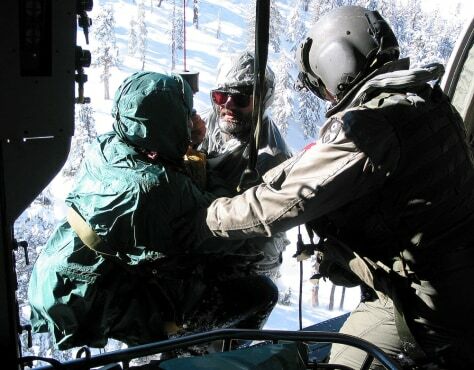 Doug Schneider, left, and Britt Jefferson, center, are hoisted into a rescue helicopter by Staff Sgt. James Bryson of the Army National Guard on Thursday. They were rescued near Yosemite in the Ansel Adams Wilderness area.